Also known as Observation Wheels, Ferris Wheels serve as iconic landmarks and symbols of enjoyment. People of all ages can enjoy taking an easygoing ride on a big wheel in order to rest their legs and appreciate the scenery below. 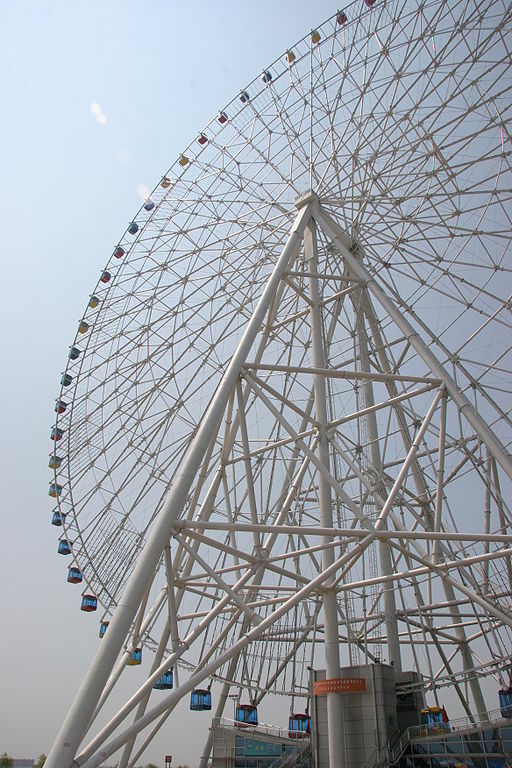 The taller the Ferris Wheel, the better the view–so just how tall can these giant wheels get? Today we’ll be looking at 10 of the largest Ferris Wheels in the world, and learning about what sets each one apart from the rest. From China to the United States to Dubai, these colossal Observation Wheels will give you some new destinations to add to your bucket list. 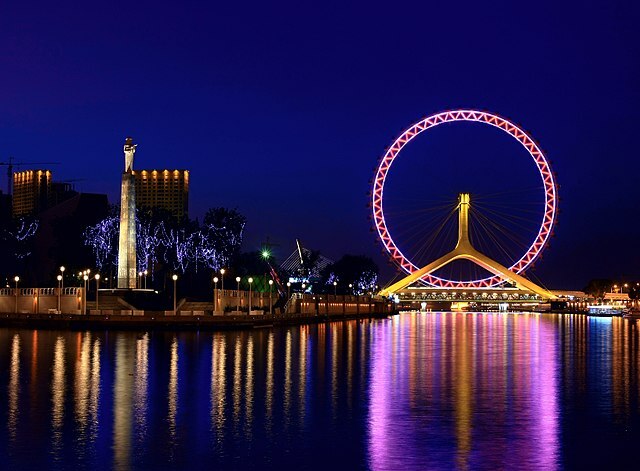 The striking Changsha Ferris Wheel is part of a set of four 394-foot Ferris Wheels in China, along with the Suzhou Ferris Wheel, the Tianjin Eye, and the Zhengzhou Ferris Wheel. The Changsha wheel rotates at an easygoing pace that allows for one complete rotation every 20 minutes. Many passengers have reported that the scenery from high up is most beautiful at night. The Changsha Ferris Wheel is located adjacent to the He Long Sports Center Stadium. Said to be the only Ferris Wheel to have been constructed over a bridge, the Tianjin Eye or Tientsin Eye is built on the Yongle Bridge over the Hai River. 48 cabins rotate gently through the air to offer passengers the best possible view of Tianjin. The Tianjin Eye gets its name from the way locals have said it resembles an eye from a distance, making it a great photo subject from afar as well as from within. Previously known as the Southern Star, the Melbourne Star Observation Wheel is considered to be the largest solid steel construction in the world. Visitors have the option to listen to audio recordings in the Observation Wheel’s capsules and learn more about Melbourne while they ride. 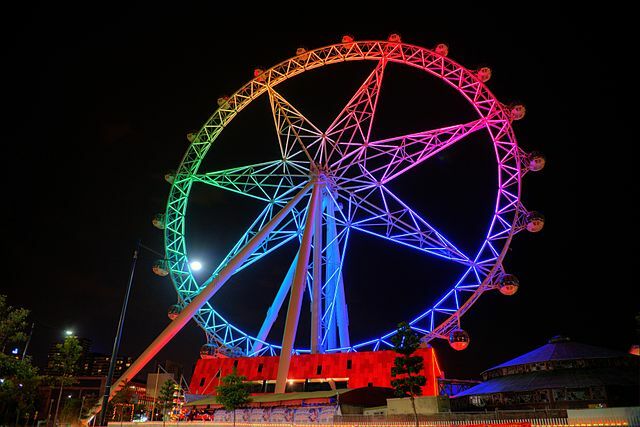 The Melbourne Star comes equipped with an extensive system of LED lights in a beautiful array of colors, which can display over 15 million different light combinations. 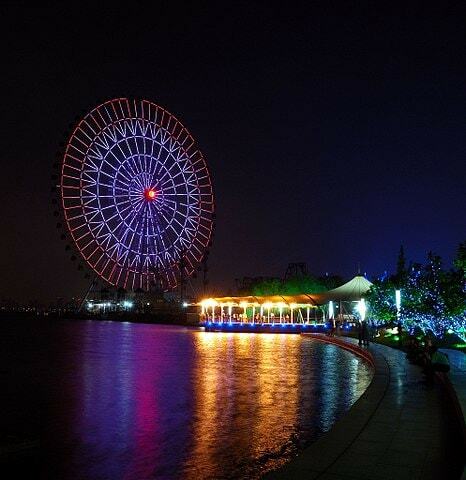 The Suzhou Ferris Wheel is located on the east bank of Jinji Lake, making it the largest lakeside Ferris Wheel in China. It rotates more quickly than some Ferris Wheels do, taking only 20 minutes to complete a full rotation. Nevertheless, this giant wheel offers ample opportunity to enjoy the scenery, and comes with a variety of other nearby attractions. While the Suzhou Ferris Wheel is already very popular, it will soon undergo demolition and ultimately be rebuilt in order to improve it even further. Numerous name changes aside, the ICON Orlando Observation Wheel has remained a key landmark since its opening on Orlando’s I-Drive. The wheel was upgraded in commodities as well as in name, now offering Wi-fi and a private party capsule for adults. 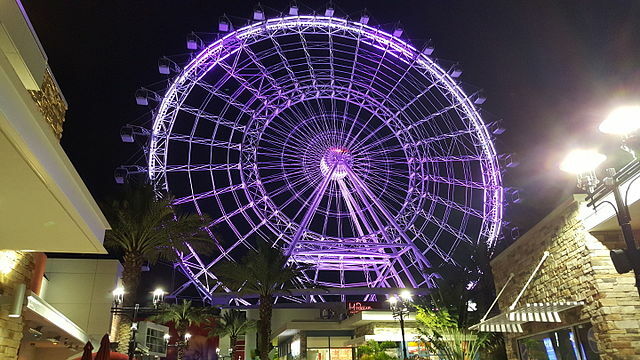 The ICON Orlando Observation Wheel makes use of the latest technology to stabilize the capsules while they rotate. This offers a far clearer and better view to sightseeing passengers. Also called the Millennium Wheel and the Coca-Cola London Eye among several other names throughout its history, this magnificent wheel was raised in the year 2000 to celebrate the millenium. It attracts around 3.75 million visitors annually, and is the most popular paid tourist attraction in the UK. 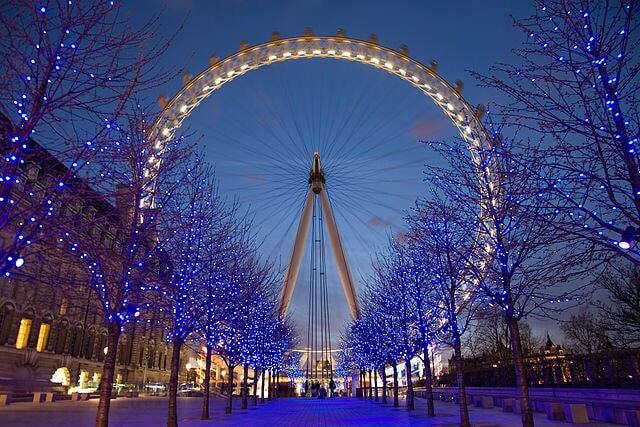 The London Eye cost approximately 70 million British Pounds, or $89,103,000 to build! 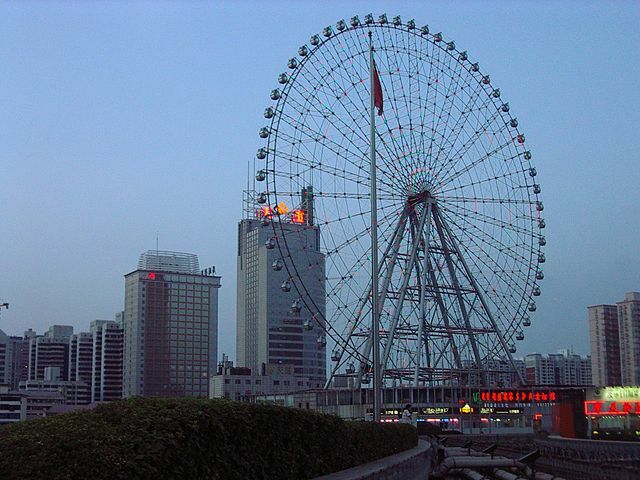 Immediately upon its completion, the Star of Nanchang surpassed the London Eye as the largest Ferris Wheel in the world at the time. It is located in the capital of Jiangxi Province, and serves as a major landmark in Nanchang. The Star of Nanchang gently rotates 60 cabins, each with room for 8 passengers. The Star of Nanchang rotates at an easygoing speed that’s slow enough for passengers to embark and disembark without the rotation being stopped. 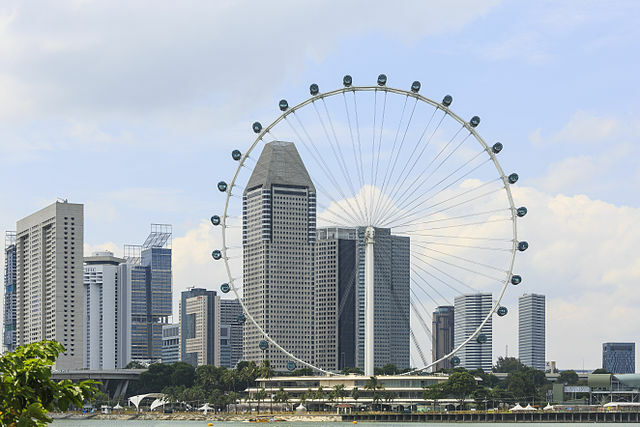 Asia’s largest Observation Wheel, the Singapore Flyer, offers a view so expansive that it can include parts of Malaysia and Indonesia on clear days! On top of the breathtaking scenery of Marina Bay and beyond, fine dining and adult beverages are also available for guests to enjoy. The terms “Ferris Wheel” and “Observation Wheel” are generally considered interchangeable and left to the discretion of the operators and guests. However, the management at the Singapore Flyer insists that it only be called an Observation Wheel. Since the Ain Dubai is not quite completed or open to the public, it cannot yet claim first place as the largest Ferris Wheel in the world. However, its construction is already far enough along to get a measurement of its staggering height! The Dubai Eye is anticipated to overshadow all competitors once it opens. For those who crave more action than they can get from a gentle Ferris Wheel ride, an additional attraction is in store: the largest rope-climbing platform in the world, located right next to Ain Dubai. 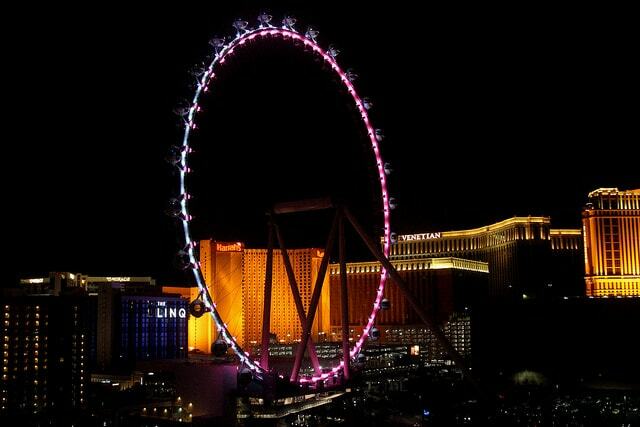 The High Roller in Las Vegas is the largest ferris wheel in the world. During each 30-minute revolution, this famous Observation Wheel provides visitors with an opportunity to get a stunning view of the Las Vegas Valley and The Strip. Guests can also purchase tickets that include drinks during Happy Hour, or customizable VIP tickets for events. The High Roller was built by Arup Engineering, the same firm that built the Singapore Flyer.